Lancershop is my favorite website for my evo. They always have everything i need, and the customer service is incredible and very patient. I also wanted to personally thank the rep janelle for her above and beyond service that she consistantly provides.. Always a great experience when calling. I will reccomend this site to all of my friends and continue to purchase my own parts from here as well.. Excellent place and excellant service!!! The GrimmSpeed BCS is designed to work with your factory computer (requires tuning). It will not reduce the life of your factory computer because it is designed to draw the same ammount of power as the factory BCS but flows better and reacts faster. It plugs in and requires no splicing or soldering of resistors. With the included bracket you can bolt it in, plug in the connector, and start tuning for fast boost response, increased boost pressure and free up lots of power. Planning on returning the car to stock? Just reverse installation. - Users can use AN fittings with the solenoid. - MAC Valve has completely custom made the valve for us(only MAC valve on the market to be custom made for automotive tuning use). 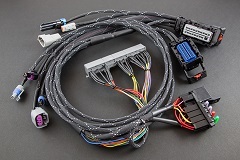 - Specifically designed by GrimmSpeed to work safely with the factory EVO ECU (requires tuning) and to reliably handle the vibrations and temperatures of your engine bay! - The only direct “bolt in” design for the EVO. Direct bolt in mounting bracket and hardware included!